You decided to earn some money, having opened a safari park. A lot of clients have come in the first day, and looks like this is a good chance to get rich! 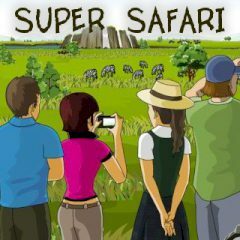 Show the beauty of the wild nature to the clients and earn as much money as you can.